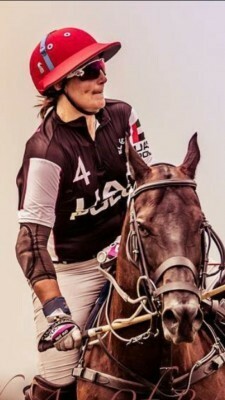 Sarah Wiseman began playing polo at the age of 12. She plays as a professional for both mixed and Women's teams including Amazon Polo. She launched and manages Knepp Castle Polo Club in the UK. Known locally as Aspect Knepp, they offer low goal polo tournaments throughout the UK summer season, livery services and a string of rental horses for visiting players to come and join. She won the British Open in 2016 and 2017 and the US Open in 2014, 2015, 2016 and 2017. She was a Finalist in the Argentine Open in 2017 and 2018 and won the Most Oustanding Lady Player award at the Polo Awards (UK’s Oscars of Polo – awarded by Hurlingham Polo Association and voted by piers).